Update 1: The Leader Post reports an Apple Premium Reseller is coming, rather than an Apple Store, as confirmed by Cornwall Centre’s marketing manager. An ‘iWorld Connect’ store will be opening, which is a child company of Westworld Computers, also known as Canada’s largest independent Apple dealer. The location will be near The Bay. The absence of any Apple stores within a 700-mile wide swath of central Canada will end later this year when a new store opens at the Cornwall Centre shopping mall in Regina (Saskatchewan). The store will be the first in the centrally-located province, which is the seventh of 10 to have an open or planned Apple store. Regina is a city of about 200,000 residents surrounded by agricultural and mining land, and is at least 300 miles from existing Apple stores. 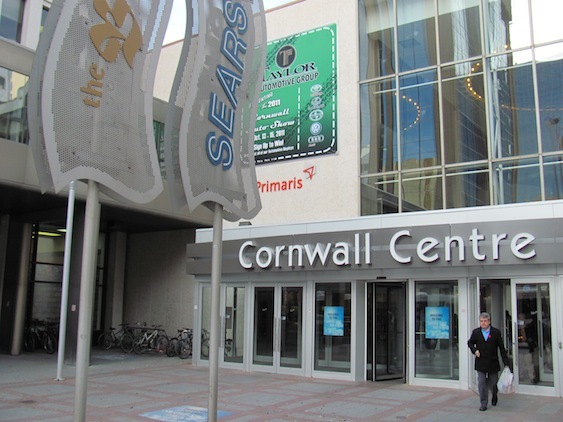 Cornwall Centre is located in city center and has 90 retailers in an enclosed mall. City planning documents mention the new store, but the exact location within the mall isn’t known. Based on construction schedules, the store could open by November 2012. Construction details note the Apple Store could possibly open by November. If you live in Regina, let us know what retail spaces at Cornwall Centre are vacant right now or are soon to be covered in black. Saskatchewan would be the 7th province to receive an Apple Store, to add to the existing list of BC, Alberta, Manitoba, Ontario, Quebec, and an upcoming store in Nova Scotia. Who’s excited?